4.2 Check our Wine Packaging Boxes! 5.4 Check our Wine Packaging Boxes! 6.2 Check our Wine Packaging Boxes! 7.2 Check our Wine Packaging Boxes! 7.11 Check our Wine Packaging Boxes! The wine industry is growing at a healthy rate. Increasing customer preferences and rising disposable incomes are the key drivers of the wine industry. Wine packaging has also evolved considerably over time. Using bottle wraps in colorful illustrations is a new emerging trend in wine packaging. The labels are being more intricately designed using laser-cut labels. Shrink-wrap sleeves which are digitally printed and cover the entire wine bottle to give a unique look are also very popular in wine packaging. New materials like wood, metal, rubber etc. are being used for labeling of wines. Manufacturers are also using eco-friendly packaging which does not impact the environment negatively. The global wine market was valued at $302.20 billion in 2017 and is estimated to reach $423.59 billion by 2023, clocking a steady growth rate of 5.8% between 2017-2023. Barefoot continues to be the leading brand of wine in the US with sales of $665.31 till May 2018. It is followed by Sutter Home with sales of $379.82 million. Woodbridge by Robert Mondavi stands as the third most sold brand in the US and had sales of $349.22 million. It is closely followed by Franzia Box which registered sales of $337.92 million during the same period. Yellow Tail, the popular Australian wine brand completes the top 5 wine brands in the US coming in at 5th spot with sales of $269.46 million. Barefoot is the most famous and largest selling wine brand globally. It sold more than 22.5 million cases globally in 2016. It grossed sales of $665.31 million by May 2018 in the US. Concha Y Toro, the Chilean wine giant registered sales of 16.3 million cases in 2016 and remains the second most sold brand of wine globally. The US-based wine behemoth Gallo comes in their position and had global sales of 15.9 million cases in 2016. Changyu, the Chinese wine company was founded in 1819 and sold 15 million cases in 2016. The brand has also done overseas acquisitions which have helped to expand and consolidate its international portfolio. Wines can be categorized into different types based on the process of manufacturing and their taste. Each wine has different characteristics and generally combined with certain food items. White wine is made either from the black (red colored) or white (green-colored) grapes. It is manufactured by fermenting without the skin of the grapes. The white wines provide flavor characters including bright, savory, and creamy which is based on the inputs. White wine is generally consumed cold and with light foods like poultry, fish etc. Check our Wine Packaging Boxes! Red wine is made from the dark-colored grapes with the grape skin added during the fermentation process. Red wine is fermented at a higher temperature for extracting the color, tannin, aroma, and flavors. Red wines have a more robust aroma and go well with heavier foods like red meats, pasta dishes etc. 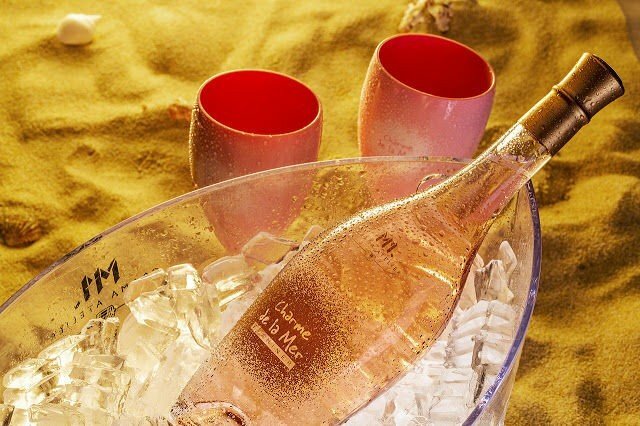 Rose wine is blush or pink colored. The pink color comes from the addition of grape skin during the first few hours of the fermentation process or it may also be derived from the fact that the wine may be a mixture of red and white wine. The rose wines are generally light and sweet and are ideal for customers new to wine. Sparkling wine is typically used for celebrations. The sparkling CO2 bubbles emerging after pouring the wine may occur naturally or they can be added during the fermentation process. sparkling wines are categorized differently in various countries like they are known as Cava is Spain, Asti or Prosecco in Italy, and champagne in France. Dessert wines taste sweet and can be consumed as a dessert itself or along with desserts. In some countries, dessert wine is consumed as an aperitif before meals. These wines can also be had with smoked meat or cheese. Fortified wines are those wines in which brandy or other spirits are added during the fermentation process. these wines can also taste sweet and the exact taste will vary based on the type of spirits added to it. The glass is the leading material used for packaging of wines globally. Glass has been used for packaging of wines since the initial stages of the industry. Tradition is a very important element in the packaging of wines and customers globally prefer wines packaged in traditional glass bottles. In addition to the traditional element of packaging, glass offers other benefits. Glass has excellent barrier properties and considering that wines will be kept for a long time in the packaging, glass is the most ideal material for wine packaging. It is impermeable and protects the wine from external elements like oxygen, moisture, UV light etc. thereby protecting the wines from contamination and spoilage. Glass packaging provides an extremely elegant and premium feel to the product. Plastics is now being used by some manufacturers as an alternative packaging material for wines. It has the added advantage of being more impact resistant and break resistant compared to glass packaging. It is also more cost-effective than glass packaging. The plastic packaging of wine used in the bag-in-box variety is becoming very popular in some countries. More than half of the wine consumed in Australia in the year 2008 used the bag-in-box plastic packaging. The downside of using plastic packaging for wines is that some plastics are known to absorb volatile compounds from the packaged liquid, thus they may take the aroma out of wines packaged in them and impact the overall wine quality to the consumer. Some wine manufacturers are using metal for packaging the wines in single-use aluminum cans. This packaging type is mostly used for packaging single-use cans of sparkling wines. Metals have the highest impact resistance and durability among all other materials used for packaging of wines. They protect the wines from damage and contamination during transit to the retail shelves. Metal packaging looks more premium and sophisticated and provides excellent compatibility for design elements and branding which makes the overall packaging look more elegant and attracts the attention of the customers. Wine packaging should consider the durability and protective nature of the packaging. The packaging should be done using materials which have high impact resistance and durability. Such type of packaging provides good protection to the packaged wine from damage and contamination during transit to the retail outlets. Wines are highly sensitive to external weather elements like oxygen, moisture, UV light etc. and coming in contact with them will spoil and contaminate the wine. Thus, the packaging should be done using materials having excellent barrier properties to provide protection from external weather elements. The packaging material should also be chemically resistant and should not react with the wines as it can degrade the quality of wines. Considering the above, glass is thus the most preferred packaging material for wine packaging. Use of colors should be done very carefully for wine packaging. The more the colors used the more inferior quality of wine it portrays. The use of bright colors in packaging also denotes the cheap and inferior quality of the wine. The brighter the label is the cheaper is the perceived quality of wine among the wine customers. It is therefore important to do proper research on colors and what they denote in wine packaging and labeling. 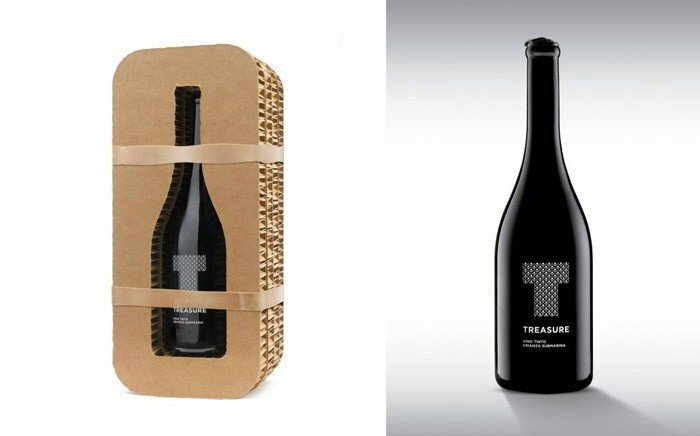 The most premium and successful wine brands make use of minimalistic packaging. They keep the packaging elements and designs to bare minimum. This type of packaging provides a more premium and luxurious feel to the product and has been known to drive sales. The labeling of the wine packaging is important. The label should contain all the relevant information pertaining to the contents, the process of manufacturing, country of origin, date of packaging etc. which will help the customers to make an informed buying decision. Clear and honest labeling also projects a positive image of the brand and leads to brand building and creating brand awareness. The labeling materials should be of good quality and they should not get damaged and start peeling off when they come in contact with water and ice. Good quality labeling enhances the overall quality of packaging and attracts customers. Packaging is a vital element for marketing of wines. Wine is a premium product and the customers are highly influenced by the packaging. The packaging should have the logo and brand name clearly visible which helps the customers to identify with the brand and recognize it quickly on the retail shelves among the competition. The packaging can make use of interactive branding elements like Bluetooth labels, 3D printing, QR codes etc. which will result in effective customer engagement with the brand and the product. Eco-friendly packaging is the emerging trend in the packaging of most products. Wine packaging has also started to incorporate more sustainable elements and green packaging thereby minimizing any adverse impact on the environment. The industry is moving towards using eco-friendly bottles for packaging of wines. Using eco-friendly packaging holds the brand in a positive light and creates a favorable brand image. Customers are most likely to purchase green packaging over other forms of non-eco-friendly packaging. 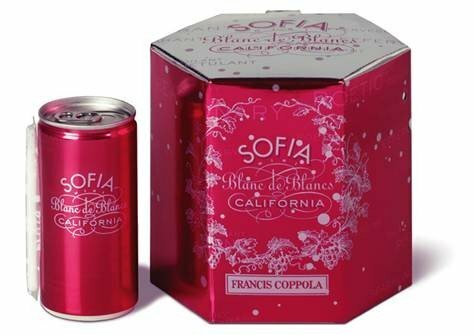 Wine packaging is also increasingly making use of materials like molded fiber shippers, eco-friendly glass etc. which are completely recyclable and do not leave behind trash which will end up in landfills and degrade the environment. Treasure, a unique wine brand sources its grapes from selected vineyards. READ Clear PP Box: When Should I Use it for Product Packaging? The winemaking process involves aging in the barrels, then it is bottled and stored under water in submarine facilities located in the seabed. The packaging of the wine brand tells its story and legacy of winemaking. The bottle is black with minimal design elements. The logo- T- is digitally printed on the front and the bottle comes in a stacked corrugated cardboard box and is wrapped in rubber bands to protect the bottle. 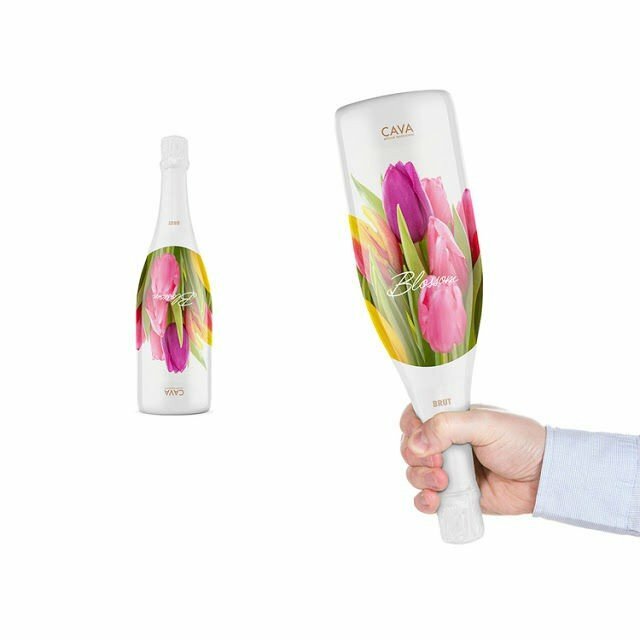 Blossom Cava’s wine packaging is done to resemble a flower bouquet. It is designed to be held by the neck of the bottle with floral prints on the exterior which gives it the look of a flower bouquet. The design is innovative and makes for a brilliant gifting idea. 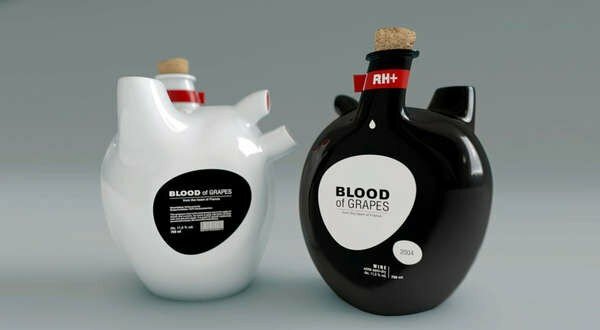 The Blood of Grapes wine comes packaged in a heart-shaped bottle. The unique shape of the bottle makes it stand out and differentiates it from the competition. The bottle is oblong shaped with two blood vessels. The bottle comes in two colors-black and white. 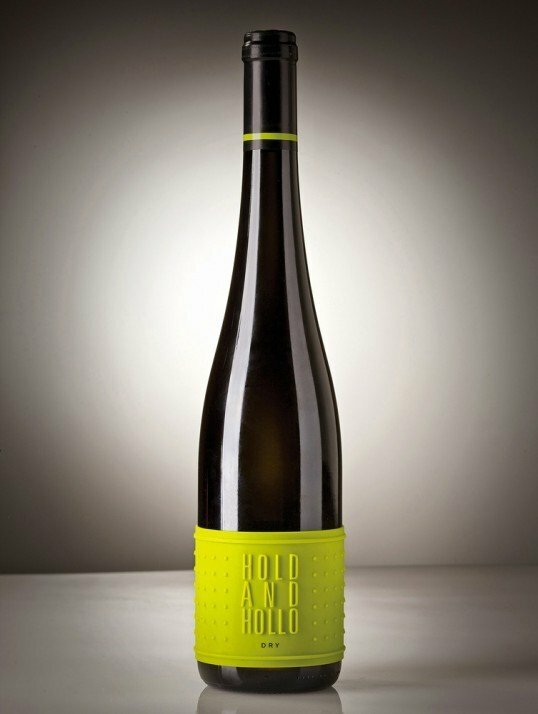 The innovative shaped packaging of the bottle means that the customers can use it as a perfect decorative item after consuming the wine. It is also a good gifting idea on special occasions. 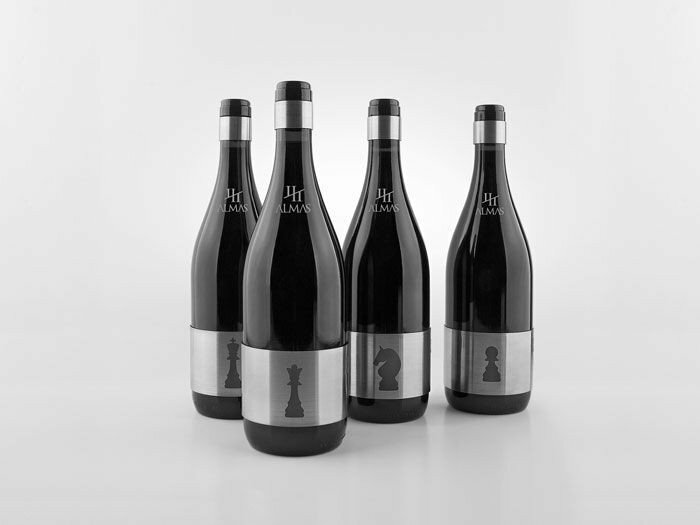 Cuatro Almas wines come packaged in a sleek and stylish black bottle. The packaging has a metal-stainless steel- sleeve. A different silhouette of a chess piece is displayed on this stainless steel sleeve. The company also claims that this sleeve will ensure that the wine is kept at an ideal temperature for one hour. A QR code is also printed on the label to provide more interactive and immersive elements for the customers to engage with the brand. 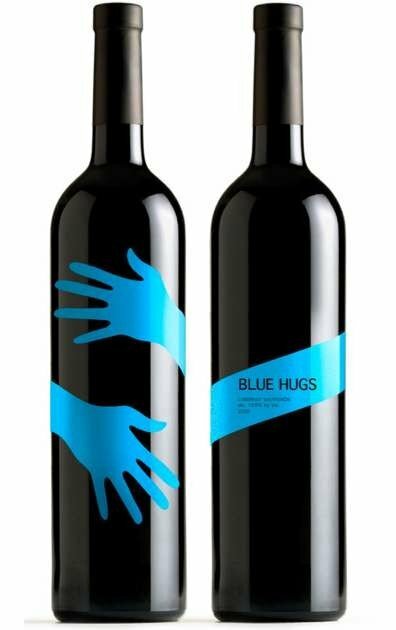 Blue Hug’s wine bottle makes use of simplistic and minimal design elements. The brand name is matched by corresponding visual elements on the bottle. From the back side of the bottle, a pair of hands coming together is visible to the customers which are wrapped around the bottle. This gives the resemblance of a hug which corresponds with the brand name. The Dames Laboure-Roi has an elegant and seductive packaging. The labeling has been done in rich copper color which provides a feel of the premium product. The entire bottle of wine has been dipped in copper wax to provide that extra luxuriousness to the product. The packaging is very creative and catches the attention of the consumers. Charme De La Mer wine bottles are differently packaged. The packaging does not follow the traditional wine packaging design and it resembles more of champagne packaging. The bottle is golden colored which provides a touch of exoticness and lends premium finish to the packaging. The brand name is printed on the front on a sandy patch. The packaging provides a holiday and beach kissed feeling and is very attractive. 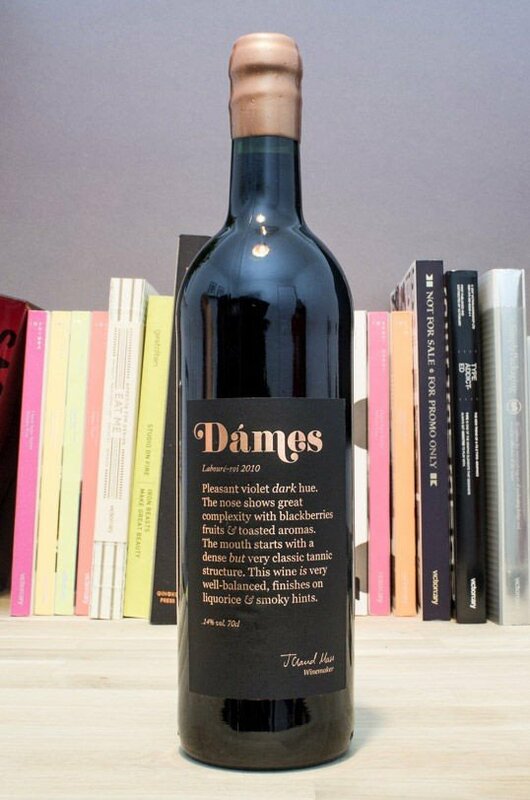 Packaging for the Eight Studio wine is creative and eye-catching. 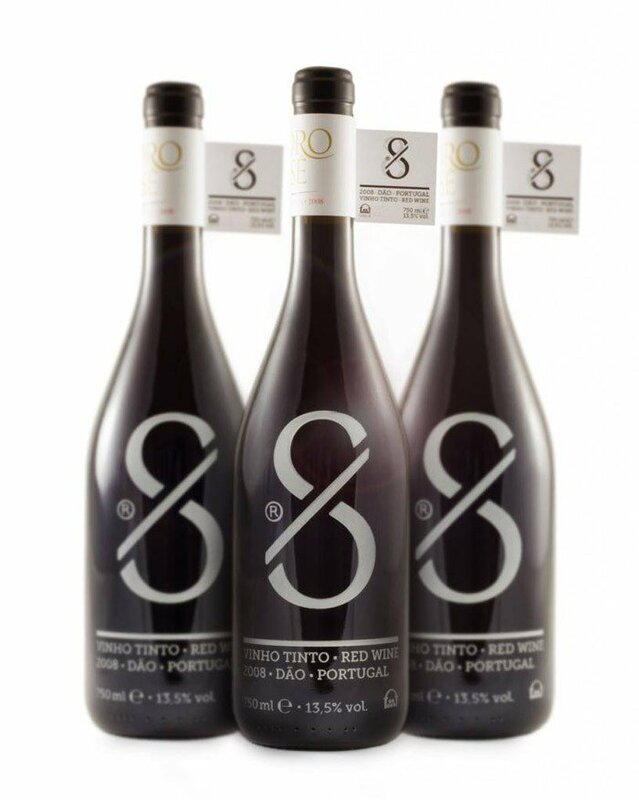 The number 8 is creatively illustrated on a paper wrap covering the bottle. Once the wrap is removed, the core branding elements on the bottle are revealed. The packaging is minimalistic and the number 8 is printed on the bottle and its neck. 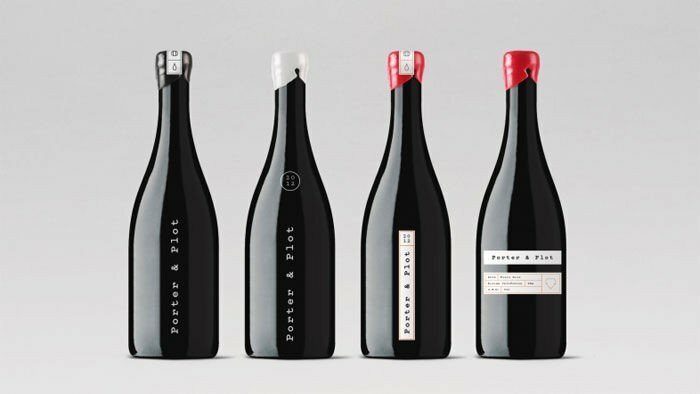 The Porter & Plot wine packaging is characterized by clean and minimalistic design elements. The packaging labels also portray simple storytelling about the winemaking process which is ideal for customer engagement with the brand. Narrow strips of adhesive papers are pasted on the bottle clearly mentioning the type of wine and its origin. Each bottle is capped with a playful melted wax seal which adds to the visual appeal of the packaging. 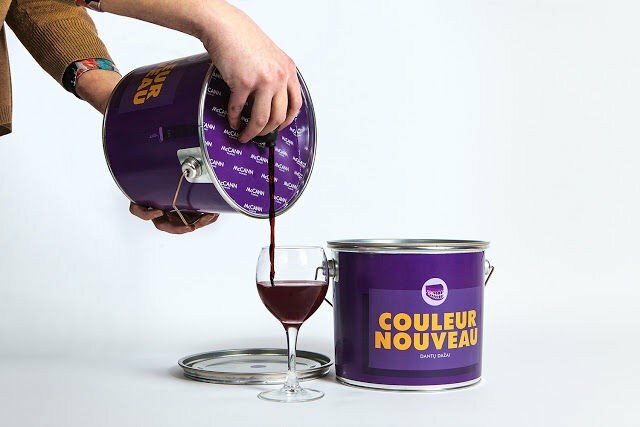 Beaujolais Nouveau came out with an innovative and unique paint bucked shaped packaging for its wine. The packaging makes use of typical paint labels and typography. The packaging contains interesting details like the number of glasses which will provide a specific color to the teeth. 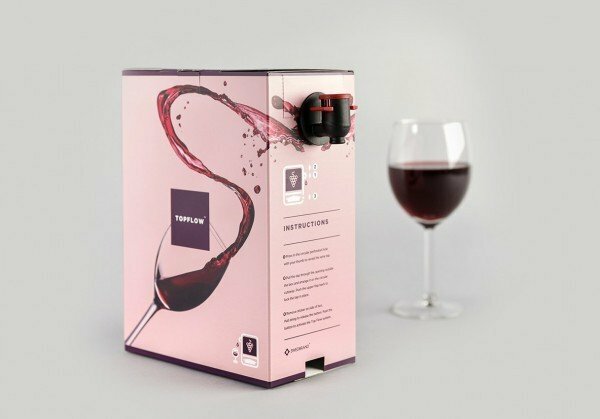 This entry was posted in Plastic Packaging and tagged box design, cardboard box, clear plastic box, clear PVC box, product packaging, product packaging design, wines packaging box.